Rhiannon is a highly experienced lawyer who predominantly advises on procurement, commercial, state aid and public funding matters. Rhiannon acts for a variety of organisations in the public and private sectors and has a proven track record of generating longstanding working relationships with clients. Rhiannon is the Specialist Legal Adviser to the Counsel General of the Welsh Government, on a part-time secondment basis. 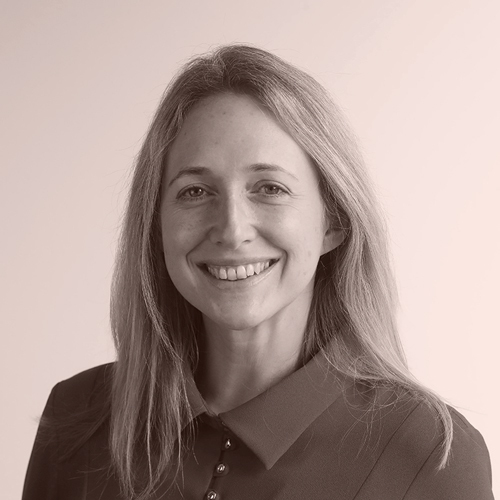 Rhiannon’s procurement expertise ranges from large scale and complex projects to the provision of ad hoc procurement advice. She supports clients bidding for public contracts and those seeking to award such contracts, ensuring procurement processes are legally compliant, enhance interest and competition in the contract opportunity, and are delivered within the relevant timescales and budget. Rhiannon also advises on state aid and funding matters, with a particular expertise in advising on legislation and guidance relevant to the European Regional Development Fund. Rhiannon thoroughly enjoys training clients and regularly delivers external training on a variety of topics, including procurement, collaborative working and agreements for joint working. Rhiannon is a trustee of toogoodtowaste, a charity that aims to reduce waste and alleviate poverty, and is the vice-chair of the charity’s finance sub-committee. Bath and North East Somerset Council have been working with Rhiannon and Capital Law on recent contract and procurement advice. Rhiannon has always acting in a professional manner, providing realistic timescales for work and assisting promptly where information has been time critical. Rhiannon is keen to ensure she fully understands your requirements before providing advice and all final advice is provided in writing. We have found Capital Law provide flexibility as they have staff available in all fields such as property and employment that we have been able to draw on for advice quickly and easily when required for areas that have come up during our contract work. Providing procurement and commercial advice to a local authority when undertaking a procurement process using the competitive procedure with negotiation to procure an organic waste treatment services contract. Included strategic advice on utilising the competitive procedure, reviewing and amending all tender and contract documentation and supporting the Council throughout the procurement process. Leading on multiple procurement processes for a variety of contracts being procured by a single contracting authority in the West of England, utilising the open and restricted procedures. Leading legal advisor acting on complex procurement process, using the competitive dialogue procedure acting for four local authorities in Wales to award a long-term contract for the treatment of residual waste with a value of over £300 million. Providing advice on compliance with funding conditions and strategic procurement advice to a community interest company receiving public funds from Welsh European Funding Office and BIG Lottery, to procure a design and build contract for a Maritime Centre. Advising a local authority on establishing a social enterprise to undertake closed loop recycling in respect of wood waste. This project was funded by the Welsh Government.